The image glowed for all of four seconds before the next slide popped up. By the time I realized what I’d seen it was gone. But through the magic of DVR I rewound the film and paused on the image. There was no doubt: it was Lady Moody’s House, the building still standing at 27 Gravesend Neck Road (currently for sale and due for designation review by the New York City Landmarks Preservation Commission on October 8, 2015). What the heck was it doing in this movie? I started the film from the beginning and learned it was “The Nickelette,” a 1932 Warner Bros. production poking fun at the early movie-going experience of the nickelodeon: “When movies were silent and money talked, a nickel bought an evening’s entertainment. Let’s enter one of these ancient nickelettes.” Eddy Gilligan, the “silver tone tenor,” belts out the melodramatic 1913 hit, “The Curse of an Aching Heart” (music by Al Piantadosi; lyrics by Henry Fink), to underscore fifteen appropriately old-fashioned, if unrelated, pictures. The Moody House slide comes twelfth. At the time, I managed to find the film online. I saved it and shared it with some fellow Gravesend fanatics (we’re a small but noble group). But then I put it out of mind. That was several computer crashes ago. I lost the file and the emails in which I had shared it. (I since back up regularly to that white, puffy cloud.) I even forgot the title of the film. Recently I recalled one of the people with whom I shared the news and he had, incredibly, preserved my message. 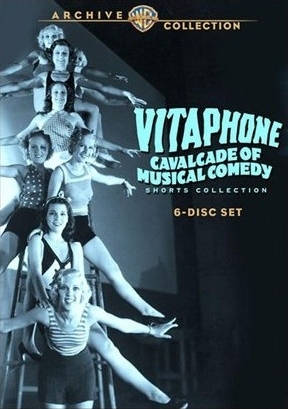 The link to the online version of the film is defunct, but now it is available on DVD, part of a six-disc set in the Warner Bros. Archive Collection called Vitaphone Cavalcade of Musical Comedy Shorts. I bought it, naturally, and captured the screen shot seen here (for which I pray the Warner Bros. honchos won’t sue me!). Screen capture from the 1932 Warner Bros. production, “The Nickelette.” This image of the Lady Moody House at 27 Gravesend Neck Road was taken between 1905 and 1914. 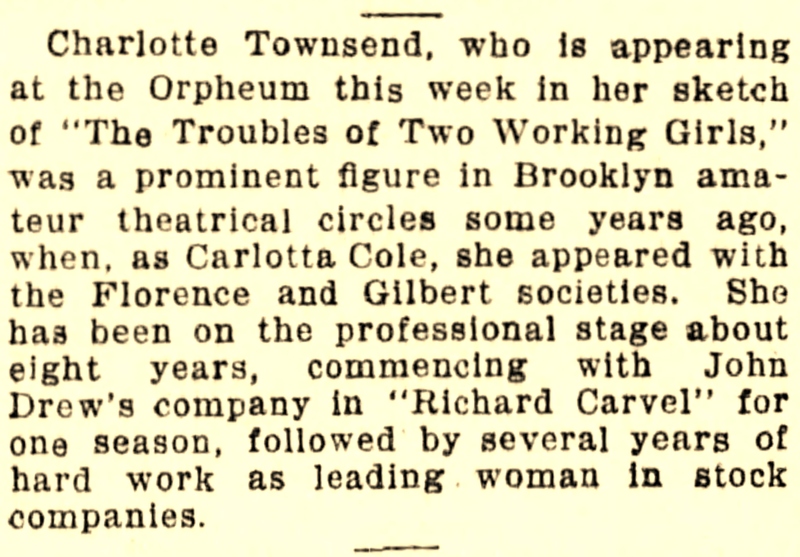 Brooklyn Daily Eagle, Wednesday 10 March 1909, p. 20, col. 6. One year, the company built the fronts of several houses on the shore of Gerritsen’s mill pond. Time disintegrated them[,] but while they stood, the people in our neighborhood walked there with box cameras after the actors had finished work, and posed in doorways pretending to be popular movie stars. . . . Around these little false-front shacks the mill pond made an exquisite wilderness background with its great willow trees close to the water’s edge and miles of meadow land stretching beyond the pond. Today that site, filled in, is the baseball field of Marine Park on the north side of Avenue U surrounded by an urban community. Carlota Cole does not appear in the “Vitagraph Family” list of actors in Anthony Slide’s The Big V: A History of the Vitagraph Company (Metuchen, N.J.: The Scarecrow Press, Inc., revised edition, 1987), so maybe that isn’t her, dressed in white, on the arm of her beau at the picket fence. But these are clearly actors, posed, perhaps, as newlyweds about to cross the threshold. (Or maybe he’s trying to stop her departure?) And it is unmistakably the house. In any case, isn’t it wonderful that I looked up when I did to catch it? Who else would have noticed?